When Dalton rides into Lonetree looking for work, he arrives in a town crippled by the local outlaw: the Sundown Kid. The Kid has a tight hold over the town, but Dalton’s desperation for employment means he lands the task of resolving the newest kidnap situation. He is asked to deliver the ransom to the bandit in order to secure the safe return of the young Sera Culver. Before Dalton reaches the rendezvous point however, disaster strikes and the ransom is stolen. A fearsome shootout leaves him stranded in the wilderness: no ransom, no girl, no bounty. With the fate of a young woman at stake, the ransom money to hunt down, and the Sundown Kid to bring to justice, can Dalton fight the good fight and help Lonetree prevail? 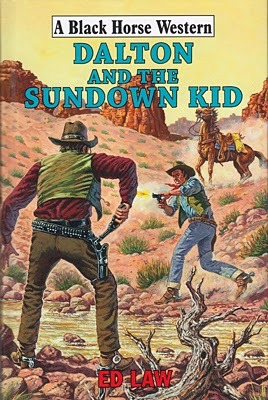 Dalton and the Sundown Kid is the ninth book in the series. One of the things I like about Dalton is he is prone to making rash decisions that don’t always turn out for the best. This is what happens in this story leading to some tense situations that Dalton has to struggle to overcome. The story is also filled with questions, such as who stole the ransom, where did the money come from in the first place, and who is Sera’s father – this latter puzzle providing a surprising answer. This is just one of the twists Ed Law includes meaning it’s hard to second-guess the trail this fast moving tale will take. For those who like a little romance there is a bit of that here too but not for Dalton, although his actions could cause problems for those involved due to Sera’s reactions to him. There’s plenty of gunplay before the final shootout that ties everything up neatly, well nearly everything as there is still one question to be answered and that provides a great ending to this very entertaining story and leaves me looking forward to the next book in the series. Sam Cotton was the last person anyone in the town of Hope would have suspected of wrongdoing. All that changed, however, when Sam was caught riding hell-for-leather away from the scene of a robbery and murder. The townsfolk now see his future as being measured in hours, but Sam’s father still believes in him – and only his father can save him. Jim Cotton sets out on a desperate mission to prove his son’s innocence, and every which way he turns brings increasing trouble. Outlaw gangs, old enemies, gun-fights, beatings, exhaustion and even the landscape conspire to keep him from saving Sam’s life. In this story of revenge, double-dealing, violence, and forbidden love, both Jim and Sam Cotton discover new depths of courage. Their whole future, and the future of Hope itself, will be changed forever. 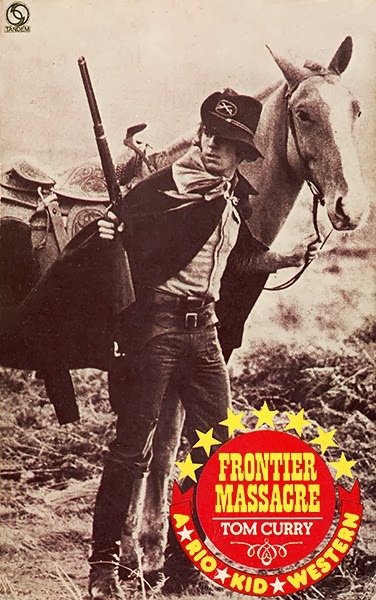 This is Derek Rutherford’s fourth Black Horse Western and the first I’ve read, I have read a couple of short stories before which left me eager to try a full-length book. Derek Rutherford doesn’t believe in giving his hero an easy trail to follow, he throws problem upon problem, making his reader wonder how Jim Cotton can possible achieve his goals. Not only that, when it looks like Cotton may be about to succeed a surprising death seems to dash all hope of Jim saving his son. There’s plenty of gunplay in this very fast moving tale that’s a race against time. Jim’s attempts to find a witness who can absolve his son before the judge passes the death sentence provides tense reading. That’s assuming his son isn’t guilty as Sam doesn’t seem to want to explain his whereabouts at the time of the killing. As truths are slowly revealed it looks like Jim will fail to save his son, even after his dramatic appearance at the trial which sees the courtroom explode in spectacular scenes of chaos. And, even though you may well guess the outcome of some of the story-threads, Derek Rutherford will take you by surprise a number of times and everything won’t turn out as you expected. Last Stage from Hell’s Mouth is a very entertaining book that has a release date of February 28th but is already available from the usual Internet bookstores. US Deputy Marshals, under Judge Issac Parker, The Hanging Judge, patrol the Indian Nations--the most dangerous place in the world--in the late 19th century. Black Marshal Bass Reeves long-time partner, Jack McGann, goes undercover to ferret out some claim jumpers in the Arbuckle Mountains. He is bushwhacked and washed down the rapids and over Turner Falls. A restless spirit and a sacred white wolf send a fiery redhead widow to nurse him through his amnesia and other wounds back to health. Bass and his other partner, Jed Neal are sent to find the missing McGann, but are side-tracked into helping US Deputy Marshal Selden Lindsey track down Bill Dalton, the last of the old time outlaws. Like the first book in the series, this is an extremely well written and tightly plotted tale based around truth and people who really lived and took part in the hunt for Bill Dalton. To start with the book reads like two separate storylines; that of McGann’s recovery and of his fellow lawmen’s quest to bring in Dalton. Gunplay erupts regularly and there’s a particularly exciting, and lengthy, exchange of bullets at the cabin McGann fines himself in that brings the lawmen altogether. Action scenes are fairly brutal but this is counterbalanced by the often humorous dialogue between main characters. The book will touch all your emotions, making you laugh, despise, urge on, warm your heart and tingle with sadness. Farmer and Stienke also include a budding romance amid all the bloodshed. Then there’s the supernatural elements. 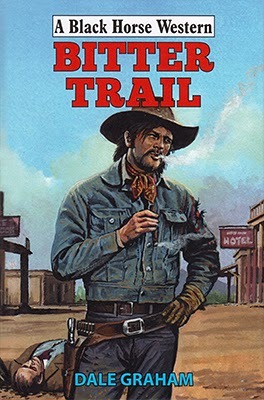 This you’ll either love or hate depending on whether you believe there is a place for it in what is sold as a western novel. Personally I could have done without it, but having said that I did find the rest of the book to be really entertaining and look forward to the next book in the series. For the next five days you can get a free download of this excellent book. 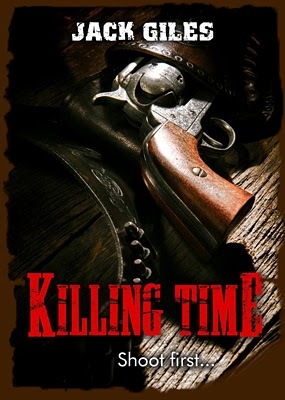 Killing Time was originally called The Fourth Horseman and you can read my review of it here. In a fiercely contested Missouri, pro-Union and Confederate militias clash in bouts of guerrilla warfare and cross-border raids as they battle for control of the state. Disaffected confederate soldier Jim Light, joins up with the infamous Quantrill’s Raiders a mere two weeks before they attack and massacre the townsfolk of Lawrence, Kansas - a Union stronghold. When they finish, Kansas is truly "Bloody Kansas." As the end of the War draws near, Jim deserts the Southern Army. With the assistance of a woman who's sympathetic to the lost cause, he tries to start a new life. The peace he yearns for quickly slips away after the burning of his farm and hanging of his good friend by Union forces. Jim joins up with ex-fellow raider Jesse James to seek revenge on the murderous Yankees. Riding with the James Gang, he robs banks, and stagecoaches, sees action in Northfield, Minnesota and even participates in the first train robbery in history. The James Gang rode their way into legend, but for Jim Light will it all end along-side his friend in a small white house, or will he somehow find a path back to the simple quiet life circumstance and war robbed him of? Written in the first person this is a tough story set in brutal times. The first part of the book deals with Jim Light’s experiences in the Civil War, his part in the raid on Lawrence filling him with fear as he’s sure the Union army will have no mercy for those they believe took part in the attack. It’s during this time Jim meets the James brothers and Cole Younger, although they don’t have much of a role to play during this time of Light’s life. 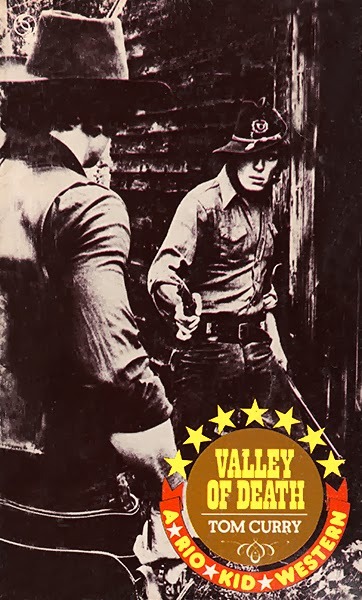 Even after the War is over Light is still fearful of Union vengeance, so only comes out of hiding to ride with the James gang as he needs money. W.R. Benton illustrates extremely well the changes Jesse James goes through from not wanting to kill during their robberies to merciless shooting down anyone whenever he feels like it and how this effects Light's impressions of the man. As expected with a story that takes place during real events there is a lot of fascinating background information included. Benton inserts this into his story easily and at no time do you feel you are sitting in a history lesson, it all becomes part of the natural flow of the tale. Benton’s descriptions are particularly good, be they of landscapes, emotions, or the savagery of battles. As already mentioned about Jesse James, Benton’s character studies are excellent too. Most of them being a perfect balance between good and bad, and depending on circumstances, seeing which way they gravitate more towards makes for absorbing reading. 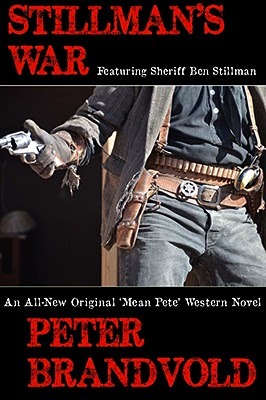 If you like westerns that are based around real people and true events then this is a book not to be missed…and to those who just enjoy fast-paced, action-packed, well-told westerns then this is well worth considering for your next read. When Sheriff Ben Stillman’s deputy and best friend, Leon McMannigle, shoots a young woman who was about to shoot Stillman in the back, Leon takes the outlaw girl’s lifeless body back to her mountain ranch to turn her over to her family. He feels the need to explain himself, to personally account for the girl’s death. His explanation falls on deaf ears. Old Watt Hollister sends his wild sons led by his eldest boy, Nash, out on the trail to exact revenge for their poor dead sister. Wounded, McMannigle is alone and on the run in the Two-Bear Mountains, hunted like a calf-killing mountain lion. Ben Stillman isn’t at all happy when he gets wind of his friend’s fate. In fact, when you mess with Stillman’s friends or his family, it’s damn well guaranteed you have all-out war on your hands. Meanwhile, back in Clantick, the pretty, young waitress over at Sam Wa’s Café, Evelyn Vincent, is smitten by a dangerous drifter . . .
It’s been eight years since the last Ben Stllman book and now he makes a welcome return in Stillman’s War. Peter Brandvold switches from character to character regularly as various situations turn deadly for all concerned. After the opening scenes Stillman isn’t in the book that much as we witness McMannigle’s desperate struggle to stay alive which leads to him being hidden in a very dangerous place. Later, Stillman will take a more central role. Evelyn Vincent is a confused woman when it comes to affairs of the heart and this could lead to her downfall. Peter Brandvold sure doesn’t believe in make life easy for his well-drawn characters. Stillman’s temper is nearing boiling point as he tries to be in more than one place at a time forcing him to appoint a stand-in deputy, and a surprising and interesting choice he makes which leads to an excellent final showdown of nerve and courage. Stillman’s War is a story packed full of action and tough characters. In those brief moments where there isn’t any gunplay Peter Brandvold masterfully piles on the tension defying the reader to stop turning the pages. I can only finish my thoughts on this terrific tale by saying let’s hope Peter doesn’t make us wait a further eight years for another Ben Stillman book. 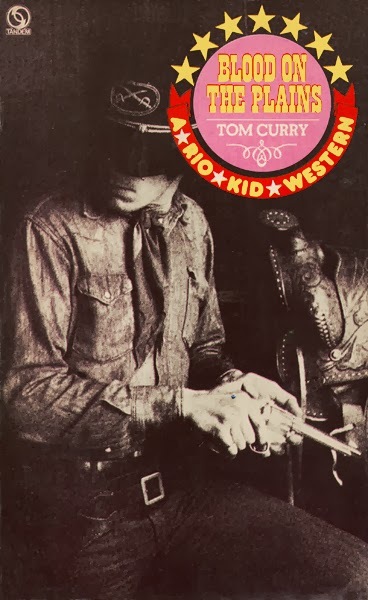 The Rio Kid westerns had their origins in the pulps and some then appeared as paperbacks in the later 1960's and continued into the mid 1970's. 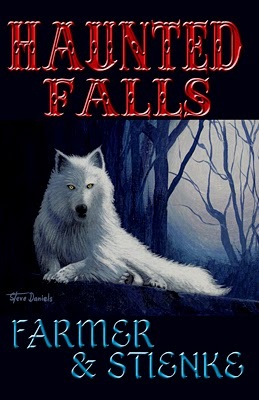 Curtis Books was one of the American publishers of this series. Six of these books were later published in the U.K. by Tandem, three of which had title changes as you'll see below. The U.K. publications also saw the uncommon use of photographs for the cover images. Personally I'd have preferred to have seen paintings on the covers but I guess it helped make them stand-out from the competition at the time. What do you think? All of Kansas was threatened by the invading swarms of warring Indians. No one was safe from the Dog Soldiers, a band of cruel warriors who tortured their victims to a slow death. Custer’s Seventh Cavalry was called in to protect the settlers. Riding as Chief of Scouts was the Rio Kid. He was searching for secret Indian war camps, but what he found was an even greater horror. Another more treacherous force was driving the Indians to massacre. The Rio Kid had to shoot his way to the truth, before the reign of blood took them all in its wake. Guns barked in the streets of Wichita; gang-law reigned in the saloons and gambling dens of the Kansas cow town. Jake Heath, leading vice lord of the West, had the town sown up. His men ran the gambling trade, fixed the land business, picked cattle and horses off the Texas Trail. There were fortunes to be made in Wichita if you played it Jake Heath’s way – and a brutal, bloody death for those who wouldn’t. The Marshal of Wichita would have all the cards stacked against him, and a one in a million chance of winning through. Until they pinned the marshal’s star on the Rio Kid. 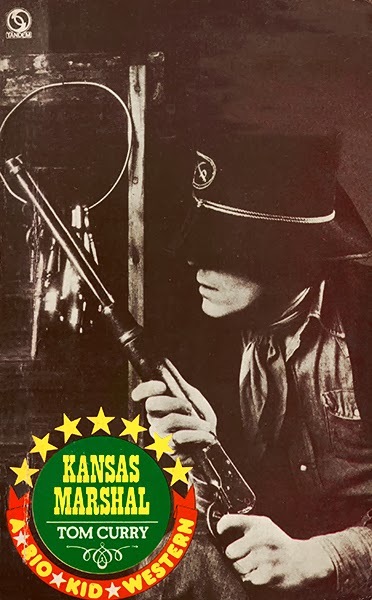 Across the wide Kansas range rode the dreaded renegade Quantrell and his blood-lusting guerrilla army, spreading terror and death. There was one man who stood up to stem the savage tide: his name was Captain Bob Pryor, also known as the Rio Kid. 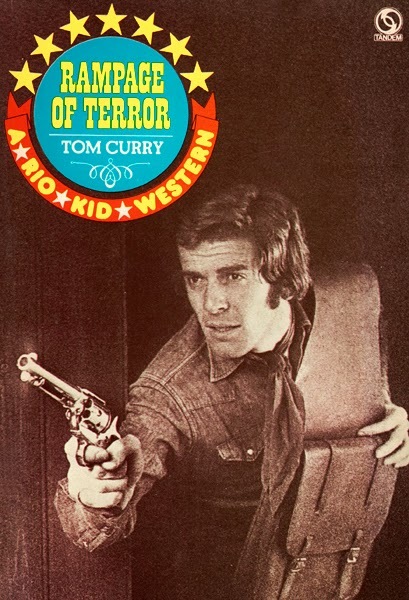 The odds were long against the Rio Kid, and when the huge and sinister figure of Jarvis Thompson loomed up, it looked as though the Rio Kid had bought a one-way ticket to Boot Hill. With the railroad crawling west and the Sioux on the rampage, there was a chance to make millions on land. Someone was behind these bloody massacres, using the Indians for his own evil scheme. The Rio Kid vowed to find out – but there was a $2000 price on his head and a vicious gang of fortune-hunters hot on his trail. 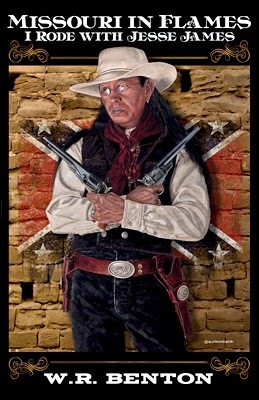 An avalanche of terror was unleashed on the defenceless Kansas settlers; the most feared Indian warrior in the West had joined forces with an avaricious white gun-dealer. Chief Roman Nose drove his vicious Dog Soldiers on a fanatical mission – to torture and destroy every white man on the Plains. But he was just a pawn in the renegade’s diabolical quest for power and gold. One man stood in their way: the Rio Kid. Guns blazing, he was lured across the Plains – towards a fiendish and deadly trap. Across the rivers and through the narrow passes of Rainbow Valley they moved – cattle ranchers and sheepmen – headed for the promised Utah land of their beloved leader, Brigham Young. It seemed much too late for anyone to save them – even the Rio Kid himself. Lazy Jake Fontelle and his partner have gone into the freighting business. Approaching El Paso, they have no idea of the trouble they will encounter after coming to the aid of a dying Mexican. Before succumbing to his injuries, the grandee gives them a map detailing the location of an icon that was worn by the legendary Aztec leader, Montezuma. A secret revolutionary group has sworn to overthrow the Mexican government and he who wears the headdress will wield the power. Can one man thwart their deadly ambition when others are intent on securing the priceless object for their own greedy desires? Outlaw Crazy Dog Charlie Moon has inadvertently stumbled upon the treasure seekers but, after a bloody showdown, will he emerge victorious? Dale Graham brings four groups of people together on a collision course that sees mistaken identities leading to confusion and opportunities to get rich quick if your wits are fast enough and your gun hand even faster. Fontelle is also tempted by the fortune the headdress could offer but can the allure of a stunning woman offer more? It would seem Dale Graham likes colourful names such as Lazy Jake and Crazy Dog as other characters have similar monikers too. He also uses many terms to describe people including a couple that don’t turn up in westerns that often; dude and dame – words that were around at the time but perhaps not used in the way they are here. Still these terms don’t detract from the tale which provides plenty of action, a deadly double-cross, and an intriguing storyline. 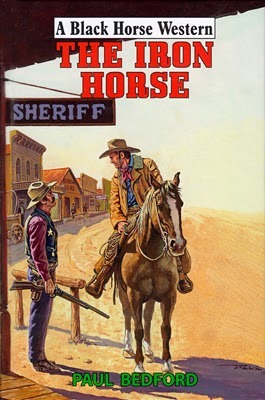 Dale Graham also writes Black Horse Westerns as Ethan Flagg and has had more than twenty-five published under both these names with more to come. Dr. John Bishop thought he’d seen his share of death on the battlefields of America’s great Civil War. Then his quiet life was shattered when a gang of outlaws invaded his home, killed his family, and tortured him within an inch of his life. John Bishop’s soul may have died that day, but his mangled body lived on. A beautiful Cheyenne named White Fox nursed him back to health – and a gunsmith outfitted him with a special shotgun rig where his left arm used to be. A strap across one shoulder fires it, while the chip on the other fuels his quest for vengeance. Now the man called Shotgun rides deep into the Colorado winter to find and kill the men who murdered everything he once held dear. The hunt will lead him straight to the heart of a fiendish criminal conspiracy – and force him to confront the violent legacy of his own outlaw brother. 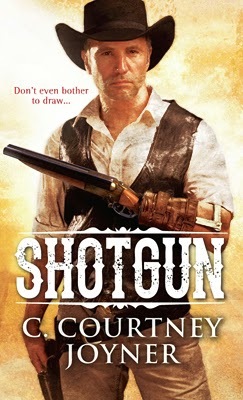 C. Courtney Joyner has written a book that reads much like a spaghetti western with its use of trick weapons, savage violence, and a large cast of characters that are there to meet grisly ends. White Fox is a match for any man when dealing out death and anti-hero Bishop doesn’t seem to care for anything other than completing his quest for vengeance…or does he? After all he is/was a doctor and his oath to help the hurt emerges a time or two to contradict his more brutal side. Running alongside the vengeance theme is a search for stolen gold. A treasure that various groups of killers believe Bishop knows the whereabouts of. This of course sees the doctor and White Fox being hunted so his knowledge can be gained from him by whatever means necessary. The book is very visual in style, which isn’t surprising when you consider its origins as a film and a comic before finally surfacing as a book some fifteen years after it was first conceived and you can read more about this here. A surprising revelation about one characters’ fate means there’s an excellent opening for a follow-up book and I’m definitely looking forward to this as Shotgun proved to be a hard-hitting and extremely entertaining read. The book also includes C. Courtney Joyner’s short story The Two-Bit Kill that was originally published in the anthology Law of the Gun. Josiah Wakefield and Dan Sturgis are young civil war veterans, employed in the Territory of Nebraska by the Union Pacific Railroad to hunt down the hired gunmen who are wreaking their supply trains. As robbery is clearly not the motive, someone must be trying to slow up the railroad’s westward progress. After a vicious firefight on the trackless plains, their continued pursuit takes them to the dissolute city of Omaha where, in the company of their new acquaintance, Bill Hickok, they survive an ambush by paid assassins. Their trouble is only just beginning, and they are to face deadly city marshal, Deke Pritchett, and the perils of being on board an Iron Horse, before the momentous finale. But just whose side is Bill Hickok really on? There’s plenty of intrigue to keep readers turning the pages, such as who is behind the attacks on the supply trains and why? The mystery surrounding the appearance of Hickok and the doubt about where is loyalties lie serve as excellent hooks that truly make this a difficult to put down read. 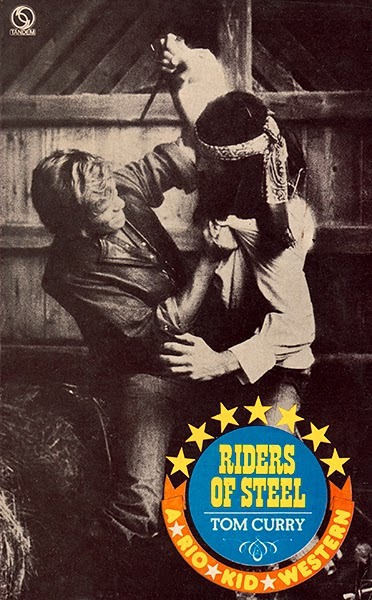 Paul Bedford provides a terrific tale in this, his third Black Horse Western. It’s extremely fast moving and packed full of bloody action which can strike down any of his well-crafted characters at any time, without warning. The violent scenes are fairly graphic in their descriptions. The story is longer than many Black Horse Westerns and that seems to be a trait of Paul Bedford, one that I welcome. At no time does his storytelling seem long-winded and padded to fit a required number of pages or words. 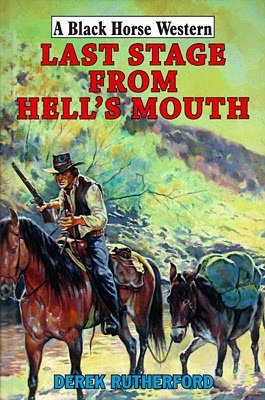 As I said in my reviews of Paul Bedford’s pervious two books he has become one of my favourite Black Horse Western writers and this story strengthens that statement with ease. Let’s hope it’s not too long before his fourth book appears.